In 2012, my son was tearing down an old tree house in the back of his property, and I saved the tree house ladder. 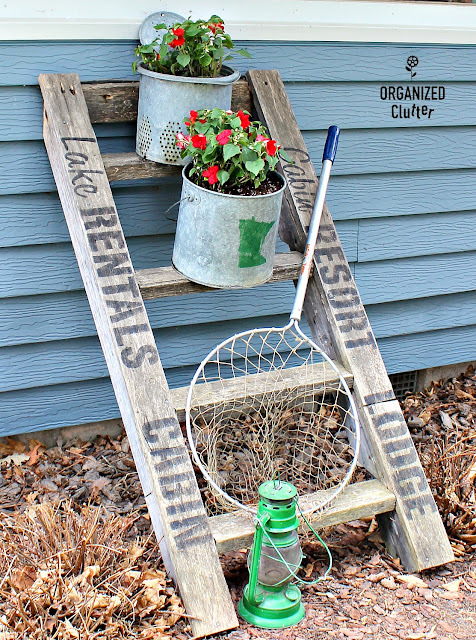 I leaned the ladder up against my house and added a vintage minnow bucket and minnow bucket insert to the rungs. Since the ladder is on the northwest corner of my house, it is in a shady spot, perfect for impatiens. In 2013, I planted impatiens in terracotta pots. I have also planted in teapots on the ladder. 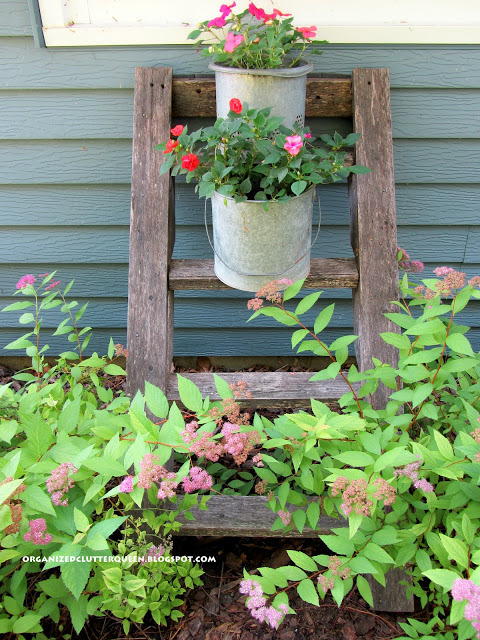 It's quite easy to keep the pots/buckets/teapots on the ladder rungs without blowing off. I pound a nail in the center of the ladder rung, and slip the pot or bucket drainage hole over the nail. Just make sure one of your drainage holes is in the center bottom. I am just starting to plant flowers here in northern Minnesota. The grass is finally green, and leaves are popping out on the trees. Normal planting time is around Memorial Day, so I may need to cover or take in my plants potted today. I love the stencils in *Old Sign Stencils Getaway Collection. 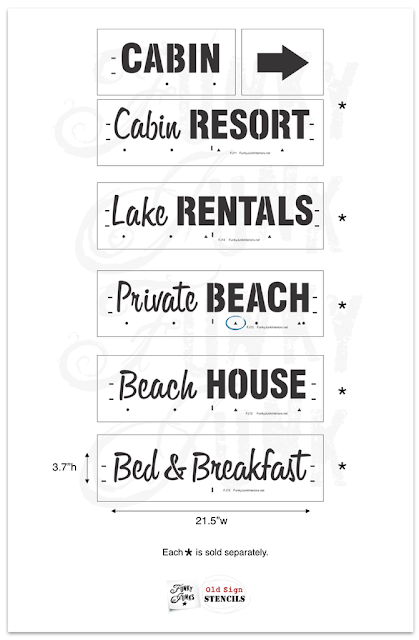 They are perfect for my UP NORTH/cabin/lake area. They are also perfect for this junk garden vignette. My project today also features the "Lodge" from the Ski Lodge stencil. 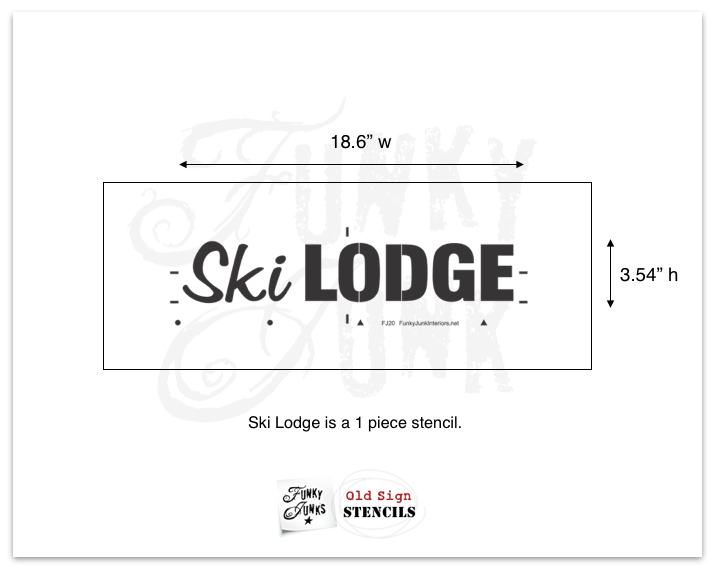 I stenciled the Getaway Collection and Ski Lodge stencils with Ceramcoat Select Multi-Surface Paint in Black . I think the Ceramcoat Select is more durable outside than just regular craft paint. The minnow buckets are planted with red impatiens. I like adding Minnesota stencils to some of my projects. 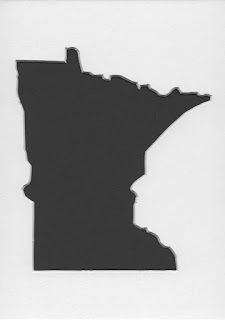 I found this Pack of 3 Minnesota State Stencils Made from 4 Ply Mat Board 11x14, 8x10, 5x7 on Amazon. 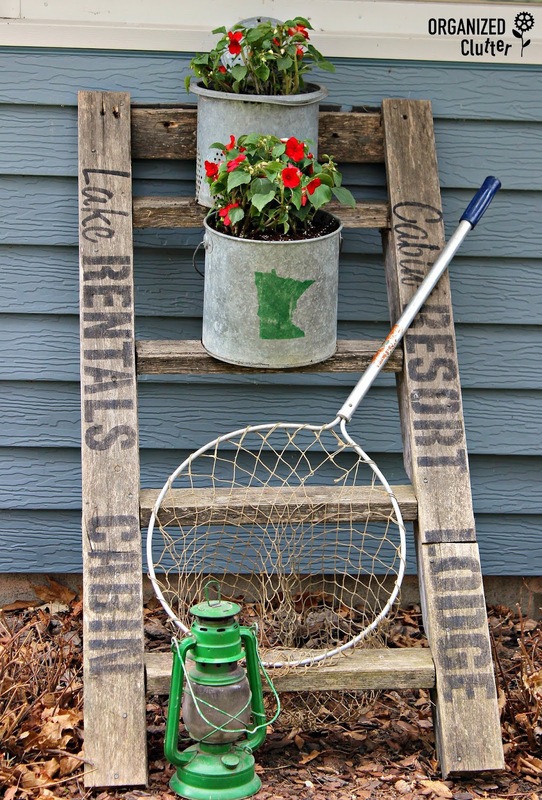 I used the 5" x 7" mat board stencil, and green paint for the minnow bucket stencil. I sealed the Minnesota stenciling with Minwax Water Based Helmsman Indoor/Outdoor Spar Urethane Aerosol in Satin . I applied two coats. 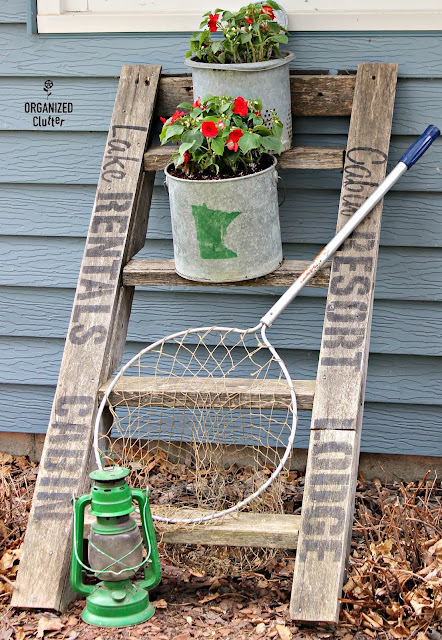 The addition of a dip net and lantern finish off the ladder vignette. Ladders are a must in a junk garden!